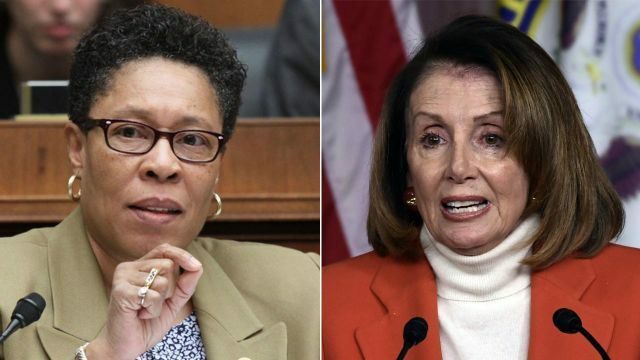 Rep. Marcia Fudge (D-Ohio) endorsed Democratic leader Rep. Nancy Pelosi (D-Calif.) for Speaker in the next Congress in a surprise move Tuesday, abandoning the idea of challenging her. Fudge, who huddled with Pelosi in the Capitol on Friday, said Pelosi has offered to restore a defunct subcommittee on elections, and to make Fudge the chairwoman. The issue of voting rights has been a top priority of members of the Congressional Black Caucus (CBC), which Fudge used to lead, particularly since a 2013 Supreme Court decision scrapped key protections previously provided under the Voting Rights Act of 1965. Fudge is vowing to use her new gavel to restore those protections. "Leader Pelosi has granted me the opportunity to create the record necessary to satisfy the 2013 Supreme Court decision in Shelby County v. Holder, so that the protections of the Voting Rights Act will be reinstated and improved,” Fudge said in a statement. “She has also assured me that the most loyal voting bloc in the Democratic party, Black women, will have a seat at the decision-making table," she added. "I am now confident that we will move forward together and that the 116th Congress will be a Congress of which we can all be proud. I now join my colleagues in support of the leadership team of Pelosi, [Steny] Hoyer and [James] Clyburn."